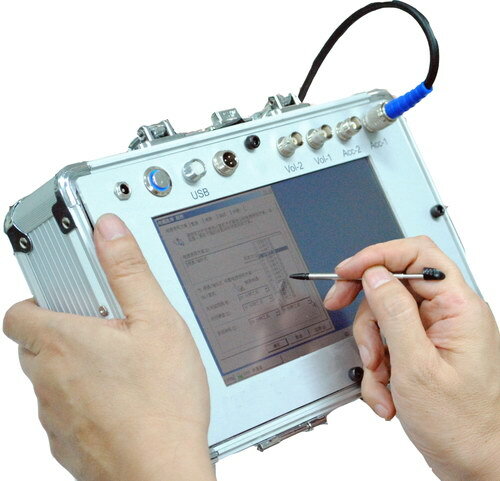 * Can display the parameters of Displacement, Velocity and Acceleration simultaneously. * With Max Hold function. 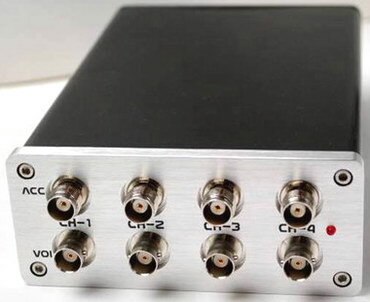 * Use "USB data output" to connect with PC. * Provide "Bluetooth™ data output" choice. 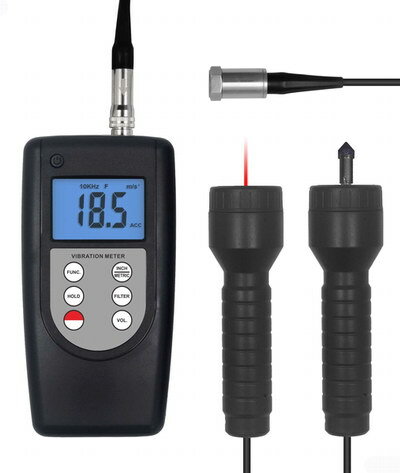 Frequency Range for Measuring:10Hz. to 10kHz. Powerful rare earth magnet 1 pc. Stinger probe (Cone) 1 pc. Stinger probe (Ball) 1 pc. 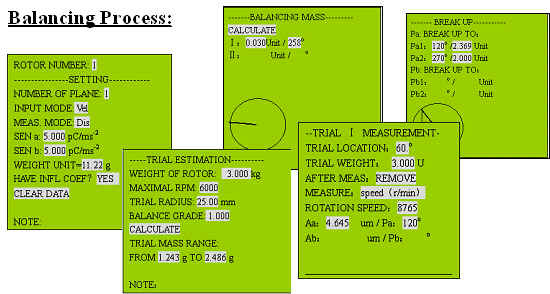 * 2 same parameters in one display for 3 dimensional measurement or 1 dimensional measurement specified, showing 3 different parameters of velocity, acceleration and displacement in 1 display. * Specially designed for easy on site vibration measurement of all rotating machinery for quality control,commissioning, and predictive maintenance purposes. 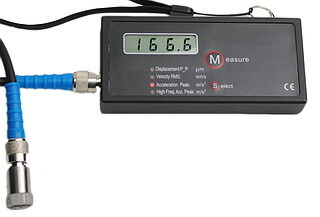 * Individual high quality ccelerometer for accurate and repeatable measurements. 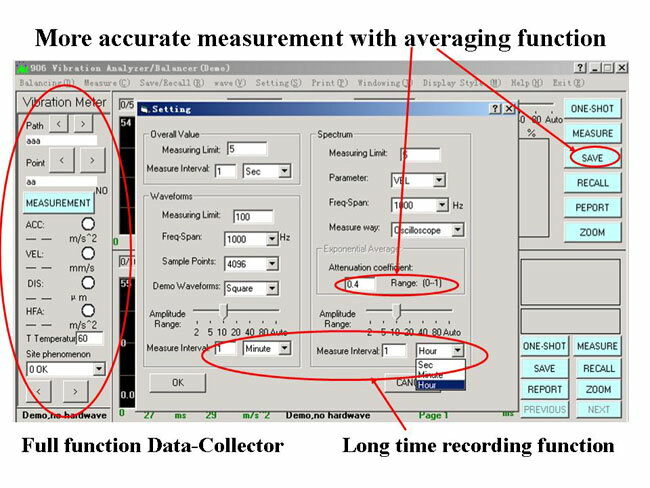 * 3 same parameters in one display for 3 dimensional measurement or 1 dimensional measurement specified, showing 3 different parameters of velocity, acceleration and displacement in 1 display. *10 mm/s RMS velocity output. *Drives vibration sensors up to 150g. 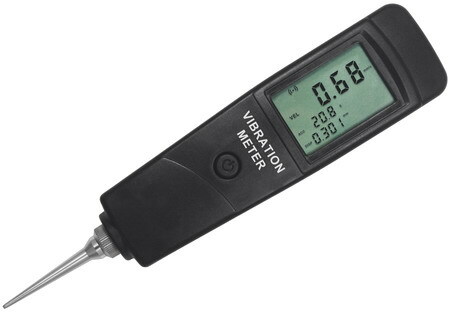 The Vibration Calibrator is a small, self-contained handheld shaker designed for quick and easy check-ing of accelerometers, vibration monitoring systems and recording systems. 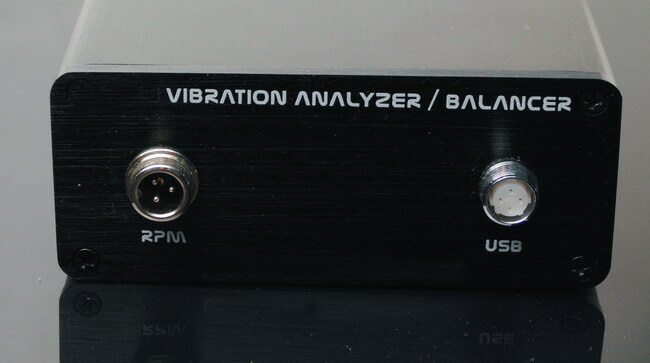 Providing a known and cont-rolled RMS vibration for verification of accelerometers weighing up to 150g. 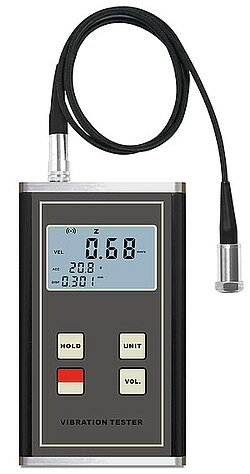 Vibration meter (also called vibration severity) uses Piezoelectric Acceleration Transducer transfer the vibration signal in to electrical signal, analyze the input signals, and show the Acceleration, speed, shift of the vibration .It is widely used in the lines of Power, petrochemical, machinery manufacturing, metallurgy, vehicles, etc. 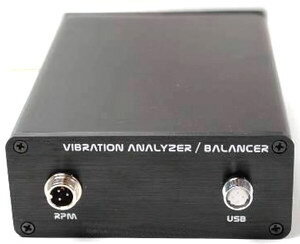 Vibration meter (also called vibration severity) uses Piezoelectric Acceleration Transducer transfer the vibration signal in to electrical signal, analyze the input signals, and show the Acceleration, speed, shift of the vibration. It is widely used in the lines of Power, petrochemical, machinery manufacturing, metallurgy, vehicles, etc. measurement. Very easy to use. Battery: 9V 6F22/Rechargeable, 25/10 hours of continuous operation. 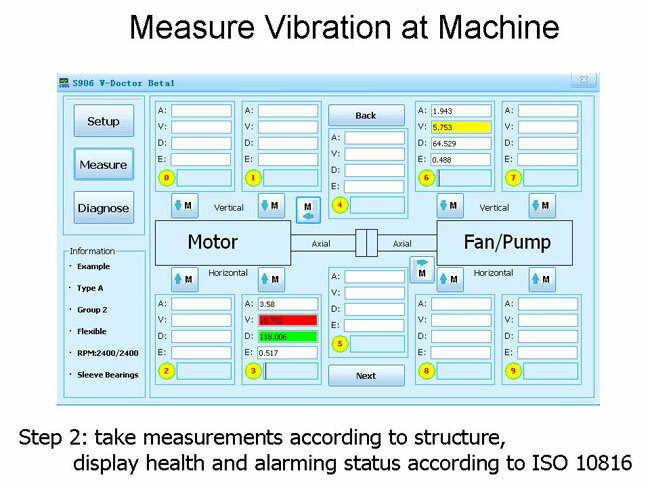 - Measuring vibration velocity, displacement and acceleration. 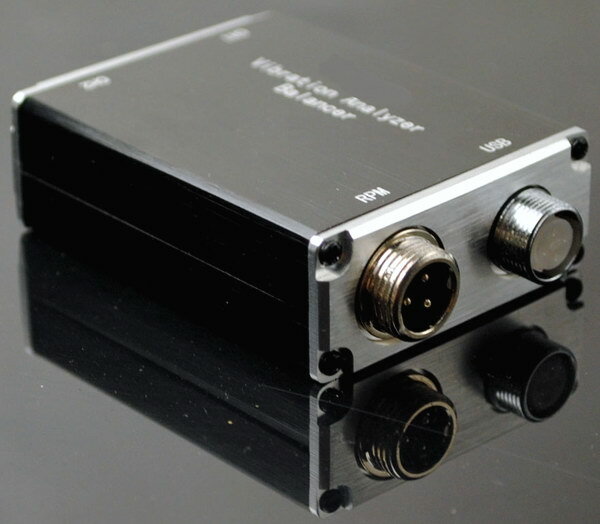 - Small size, transducer included, battery powered, no other component required. - Optional for inner or external Accelerometer. 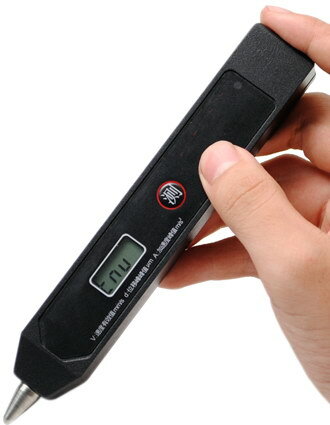 - One button control both power and measurement. Very easy for use. - 3 1/2 LCD digital display, sampling per second. 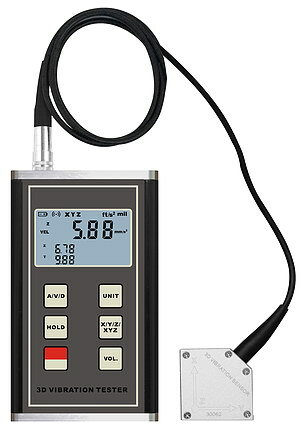 - Suitable for monitoring machinery vibration caused by out-of- balance, misalignment, gear damage, bearing faults and etc. - Battery: 9V 6F22, 25 hours of continuous operation. - Extremely reliable and potable, low cost instrument specifically designed for on site maintenance in your plant or workshop. 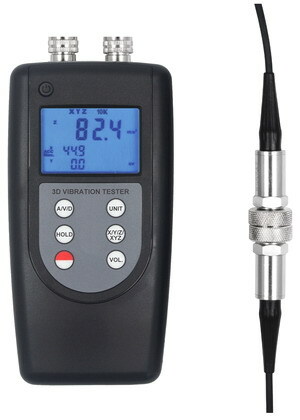 It measures overall vibration level by velocity RMS. This easy to use instrument requires little operator training. - It features with one-button operation, holding function and automatic power off. - Extremely reliable and potable, low cost instrument specifically designed for on site maintenance in your plant or workshop. 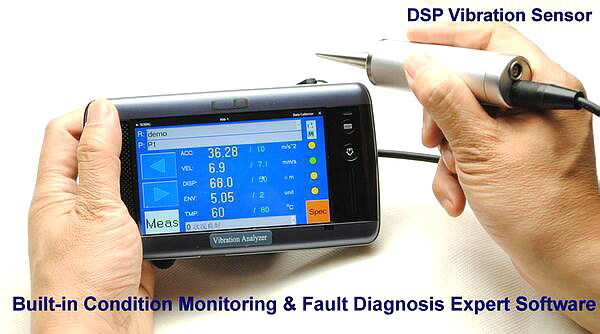 It measures overall vibration level by Displacement Peak_Peak. This easy to use instrument requires little operator training. This easy to use instrument requires little operator training. Extremely reliable and potable, low cost instrument specifically designed for on site maintenance in your plant or workshop. 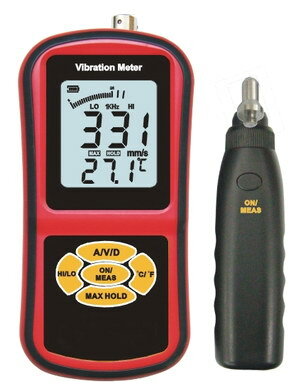 It measures overall vibration level by Velocity RMS, Displacement Peak_Peak & Acceleration Peak. This easy to use instrument requires little operator training. It features with one-button operation, holding function and automatic power off. 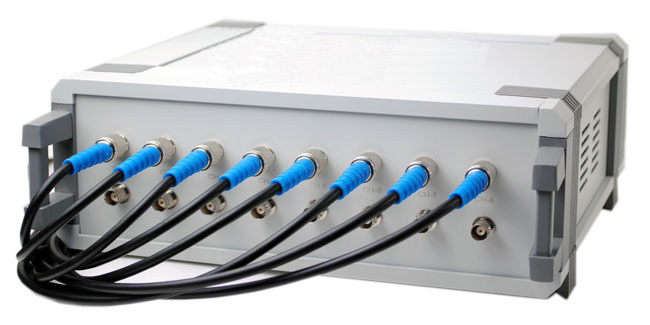 It is with remote switch and magnet base to avoid handheld problem, get reliable and consistent data. 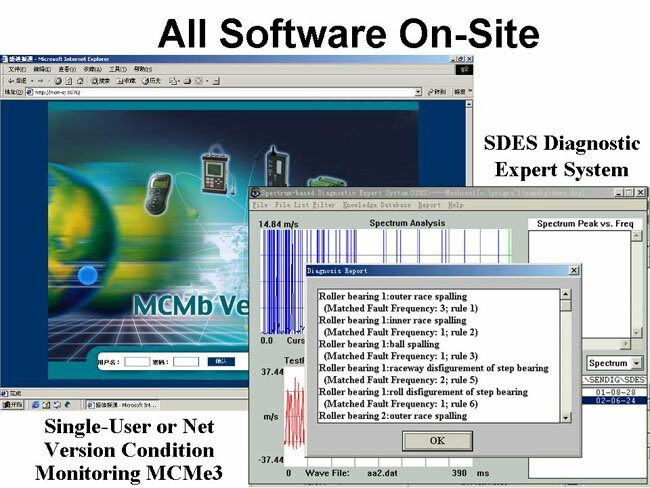 - Measure acceleration envelop in higher frequencies (caused by rolling element bearing or gear mesh problems). 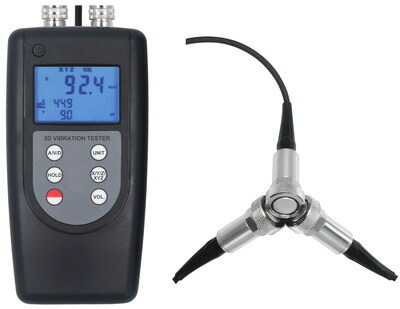 - One button control both power, parameter selection, measure- ment and holding. easy to use. - Battery: 1/2 AA, 3.6V, 4-7mA, >100 hours of continuous operation. 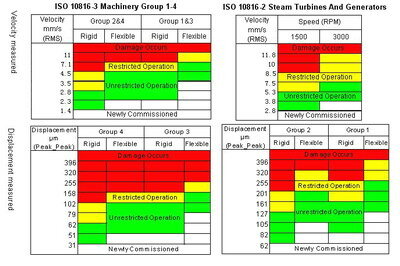 - One button control power, parameter selection, ISO10816 group selection, measurement and holding. 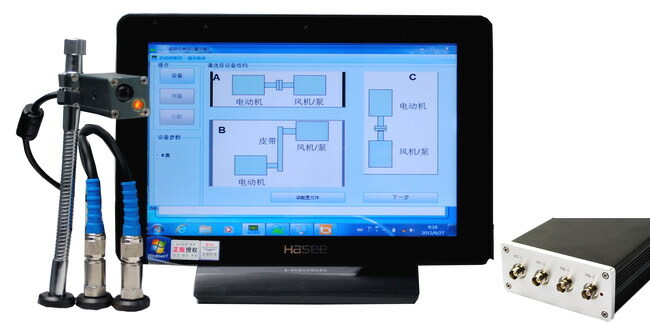 - With remote switch and magnet base to avoid handheld problem to get reliable and consistent data. 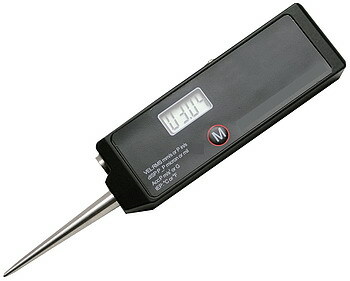 - Sensor included, Easy to use. - Battery: 1/2 AA, 3.6V, 20-29mA, >100 hours of continuous operation. - Optional Laser-aimed infrared non-contact temperature measurement module. 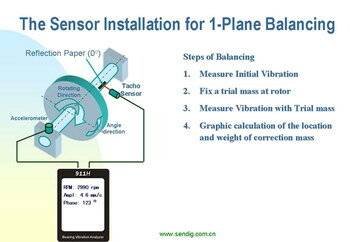 - Type of sensors: Piezoelectric accelerometer. 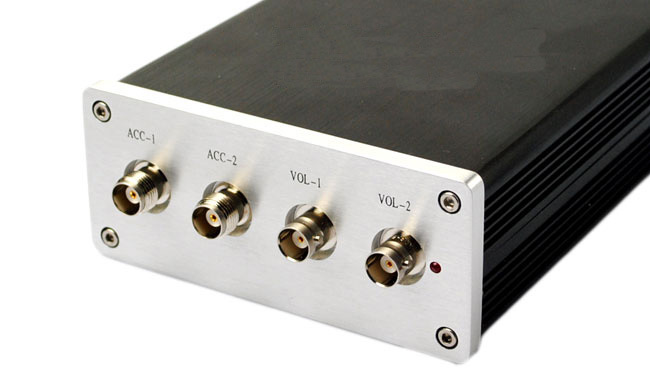 - Range of frequency analysis: 100, 200, 500, 1k, 2k, 5k, 10k (Hz). 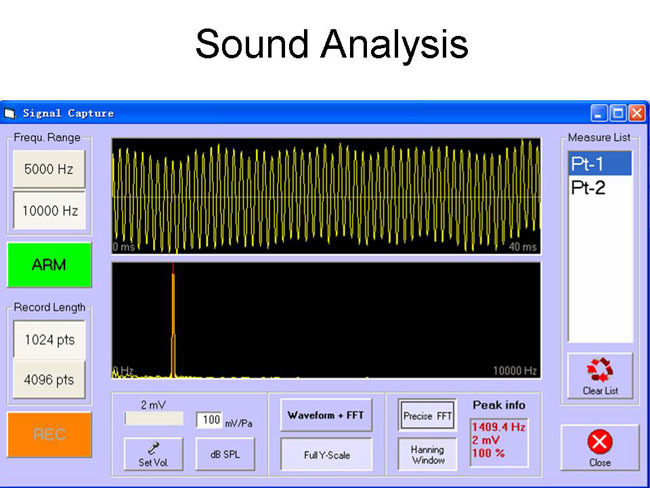 - The sampling frequency is 2.56 times of the analysis frequency range. - Power supply: Nickel-Hydrogen battery. Work for at least 8 hours continuously after fully charged. 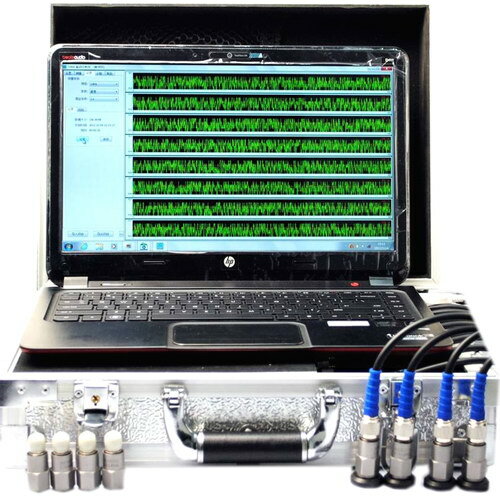 - Storage capacity for 320 sets of data (including sequential number, peak of acceleration, RMS of velocity, peak-peak of displacement, and RMS of envelope) and 48 x 1024-points vibration waveforms. 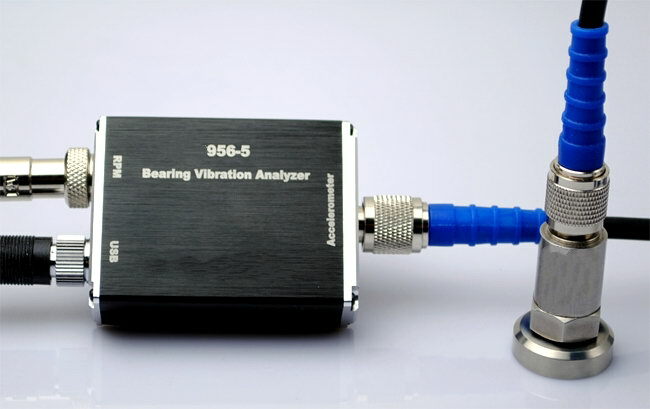 SRVM6911H is a small sized economical vibration Spectrum analyzer & data collector. 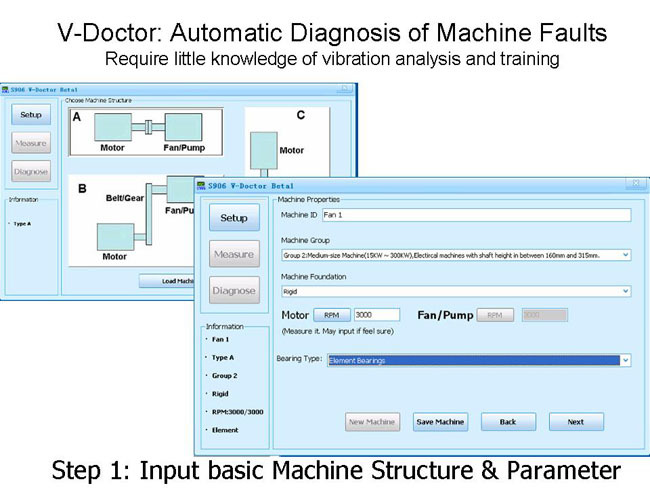 It can be used for overall vibration measurement, vibration spectrum analysis & machinery condition monitoring. 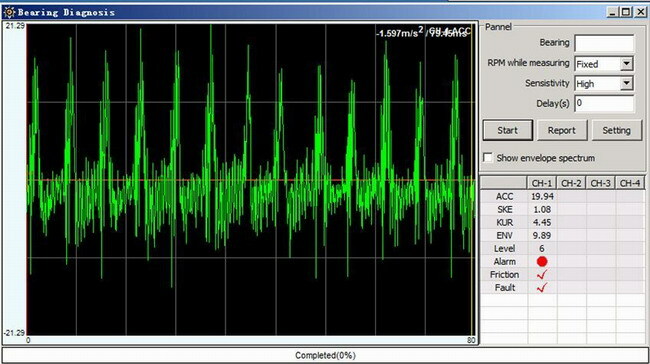 Measurement of high frequency acceleration envelope makes it very effective for bearing fault detection. The data can be sent to computer for database and trending analysis. 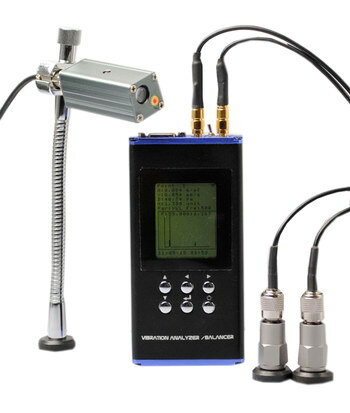 SRVM6911HD is a small sized economical vibration Spectrum analyzer & data collector. 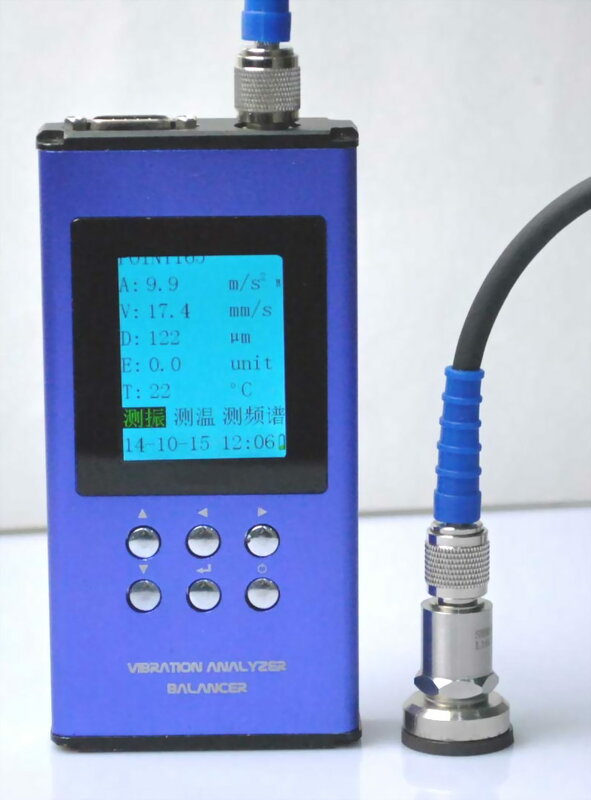 It can be used for overall vibration measurement, Spectrum analysis. Measurement of high frequency acceleration envelope makes it very effective for bearing fault detection. The data can be sent to computer for database and trending analysis. 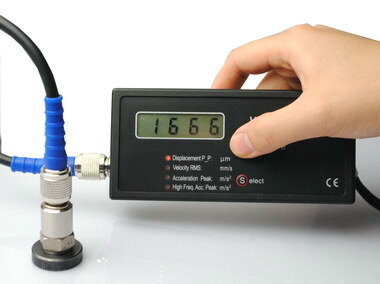 It is also a low-cost, easy-to-use balancing meter with the measurement of Rotation speed RPM, Amplitude & Phase measurement. - Balancing report automatic generation. l Sensors: Piezoelectric accelerometer, Magnetoelectricity velocity, Eddy displacement and etc. 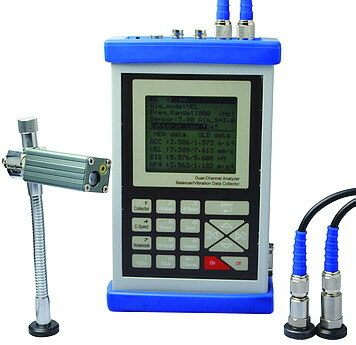 SRVM6906 including two kinds of models : SRVM6906-1, there is no balancing function; SRVM6906-1D with balancing feature. SRVM6906-1D can not be in direct contact with the mechanical part in running. 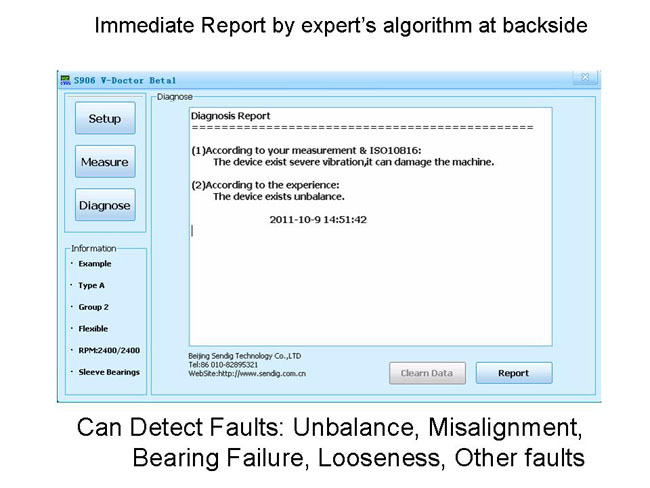 Specific bearing fault detection tool for even non-steady working element bearing. 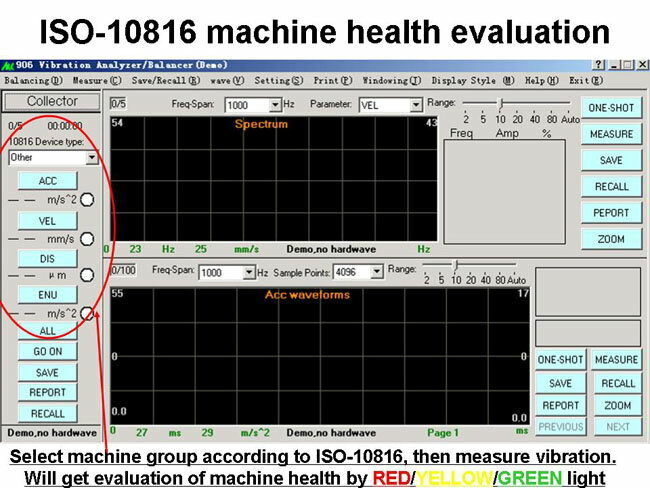 ISO-10816 included, Health condition indicated by Green/Yellow/Red Light.